Automatic Print are printing professionals dedicated to giving you quality work, on time and at a fair price. Call in, phone, fax, email or fill out the contact form here, it’s that easy to request a competitive quote or just re-order your usual job. 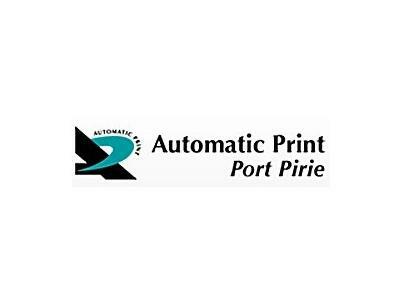 Based in Port Pirie, the business provides printing for the entire region & beyond. Using fast freight services by Australia Post, Northern Kope, TOLL & Stateliner we’re able to get you your job on time, even if you are hundreds of kilometers away, location isn’t an issue.